At a time when people may doubt whether Canada should be so accessible and unguarded, it’s wonderful to discover just how open and giving one of our biggest stars has remained. Allan Hawco, upon calling me for our interview, immediately and earnestly apologizes for being a bit late (although I was given plenty of heads up that there would be a slight delay) and tells me I have him on the phone for “as long as you need me.” He also thanks me for the honour of including him on this website. Born on Bell Island, Allan and his family moved to the town of Goulds in St. John’s, N.L. when he was only a few years old. As the youngest of four children (after Michelle, Greg and Lenore), he says he “was raised by the village of my family.” Given how much younger he is than his siblings, he describes the scenario as more like having five parents than a mother, father and three siblings. That dynamic persists to this day. “No matter how much I accomplish in my life, my siblings still treat me like a little brother,” he says. Not that there aren’t positives to growing up with elder siblings. For one thing, he says, “you get the benefit of their experience and the benefit of learning from all the mistakes they made.” For another, it you get an in-house guide to TV marathons, helping you find all the best shows to watch, and teaching you how to properly critique them. As kids, Allan and Lenore bonded over countless hours of watching 80s shows and 70s re-runs, like Miami Vice, V, Magnum, P.I., Simon & Simon and WKRP in Cincinnati—his favourite, to this day. As Allan subconsciously observed and absorbed the skills and talents of artists on TV, he was also surrounded by heaps of real-life artistic talent, right in his own backyard. On his street alone, there were, of course, him and his brother Greg Hawco, now a successful film and television composer (including for Republic of Doyle); Keith Power, another composer, who counts The Fast & the Furious and Iron Man films among his credits; and world renowned operatic tenor David Pomeroy. At the same time, Goulds was also home to Siminovitch Prize-winning director Jillian Keiley, who is currently Artistic Director for the National Arts Centre’s English Theatre; Governor General’s Award-winning playwright Robert Chafe; actor Neil Butler; and novelist Wayne Johnston. That’s “just a taste” of some of the many great artists to come from Goulds, says Allan. And it doesn’t even touch on Petty Harbour, from whence Kickass Canadian Alan Doyle hails—among others. When Allan was about nine years old, he walked in on a gym rehearsal of the Christmas pageant his school was putting on. Immediately, he asked himself, “Why am I not in this?” It was his earliest memory of knowing he wanted to be an actor. Yet he kept it to himself, adoring the performers on his favourite TV shows but never imagining he could one day do what they did. It took a teacher at St. Kevin’s High School, Tony Duffainais, to recognize Allan’s potential as a performer and truly give him the incurable acting bug. But Tony’s faith in him wasn’t enough for Allan to overcome his insecurity about being able to make it in the industry. So he gamely made his way through high school; he completed assignments, held down various jobs on the side, and was even school president during his final year. And after graduating in 1994, he eventually enrolled in the business program at Memorial University. While attending Memorial, he dabbled in community theatre. His first role was in a Shakespeare by the Sea production of Macbeth; he had only one line, but the experience introduced him to the “really high-end amateur theatre” in his community, and let him know that he was finally where he belonged. Even with his sisters’ support, and buoyed by his time with Shakespeare by the Sea, Allan wasn’t quite ready to go all in. So he stayed at Memorial for his first semester. And he kept working full-time at a local bakery to support himself, until a customer walked in and changed everything. So he did. (Although he’s quick to point out that Grenfell offers an excellent theatre program, one that has produced countless great actors.) Of the thousands of students who auditioned for Montreal, Quebec’s National Theatre School (NTS) in 1997, Allan was among the 13 accepted to the English program. And from the minute he arrived at NTS, he knew there was no going back. With that laser-sharp focus and unrelenting commitment, he threw himself into the world of theatre. Never one for academia in the past (he calls his Memorial grades “abysmal”), Allan was suddenly keen to learn more about politics, history and “anything that had to do with studying the theatre—what inspired different types of plays and art,” he says. “Once I had a connection to it, I felt I had to fully embrace it.” He also dove headlong into writing, something he’d done only idly before NTS. After graduating in 2000, Allan immersed himself in the audition circuit. But he quickly found that acting in other people’s stories wasn’t all it would take to make him happy; he needed to take control of his own story. Refusing to cow down to fear of failure—in fact, emboldened by the prospect of staring fear in the face—Allan and fellow actor Philip Riccio co-founded The Company Theatre in Toronto, Ontario in 2005, with the idea of presenting works that were creatively challenging and took bold artistic risks. Their inaugural production, A Whistle in the Dark, which featured Allan and Phil among its cast of eight, earned raves for the company and landed Allan the coveted Birdland Young Actor Award. What was also perfect was the lucky hiring of Jason Byrne, an Irish theatre director known for his experimental work. He fell into The Company Theatre’s lap by “fluke,” as Allan tells it; Jason was the only person who called them back from a list of other prospects, and when he showed up in Toronto to direct the play, it just happened that he’d been wanting to try a theatrical approach that perfectly matched what Allan and Phil had envisioned. Whatever apprehensions Allan had in his youth about pursuing his dreams, they’re gone now. He has no problem racing up to the net to take whatever shot comes to mind. So when he decided to bring life to his idea for a TV show about a father and son P.I. team in St. John’s, he had no reservations about forming Take the Shot Productions to make it happen. 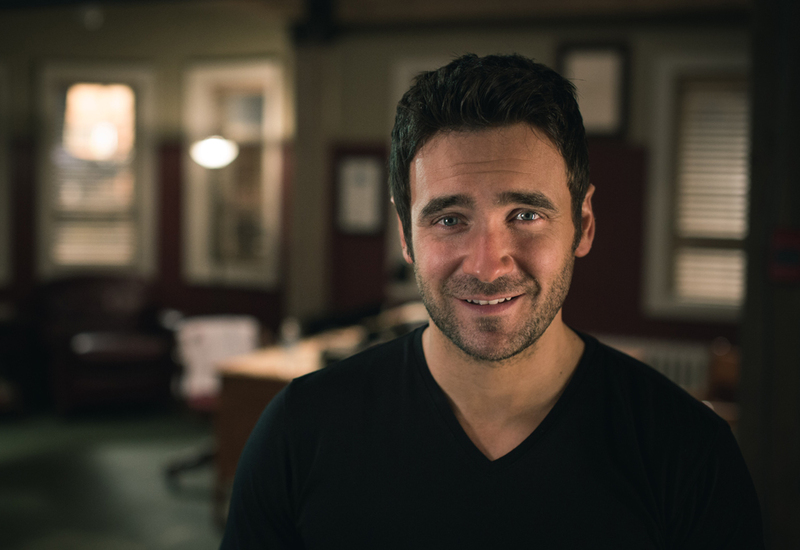 With Allan serving as the show’s creator, executive producer, head writer and star (as Jake Doyle), Republic of Doyle debuted in 2010; it has gone on to air in nearly 100 countries and be nominated for a slew of Gemini Awards (now the Canadian Screen Awards). Take the Shot has garnered critical acclaim for its other productions, too, including the hit factual series Majumder Manor; the Alan Doyle documentary Boy on Bridge; and HBO Canada’s Shaun Majumder, Every Word Is Absolutely True. But all that success wouldn’t mean much to Allan if his fellow Newfoundlanders didn’t embrace him, and particularly Republic of Doyle, the way they do. When Allan first left The Rock for theatre school in Montreal, his lifelong commitment to acting wasn’t the only thing that was solidified; his love for his homeland became etched in stone. 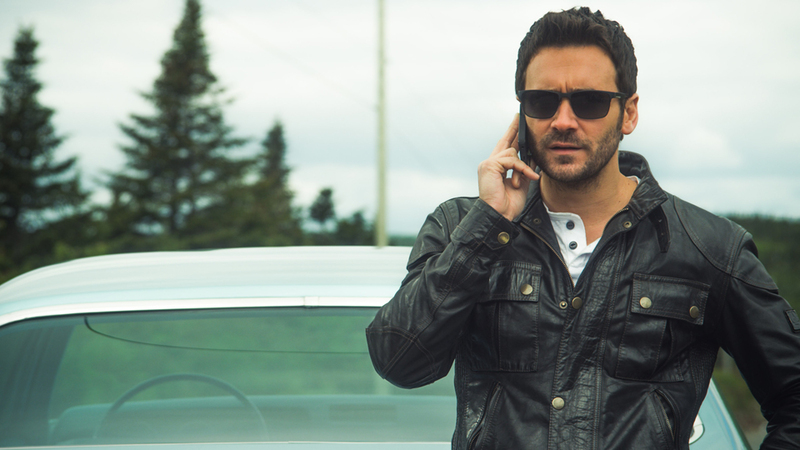 Republic of Doyle recently wrapped its sixth and final season, which is currently airing on CBC. But although Allan and his co-producers decided it was time to finish the show, to avoid “pushing the creative envelope too far,” he has every intention of staying grounded on The Rock. Jake Doyle or no Jake Doyle, Newfoundland has definitely not seen Allan take his last shot. Since announcing that Season 6 would be Doyle’s last, Allan has taken the time to flex some different acting muscles on a trio of projects. He starred in a six-part mini-series adaptation of Lawrence Hill’s The Book of Negroes, which will air January 2015 on CBC in Canada and on Black Entertainment Television (BET) in the U.S. “I play a British 19th Century slave trader—a massive departure for me,” he says. He also performed in a Company Theatre production of Bellevile, and is in the midst of shooting Paul Gross’ film Hyena Road, due out sometime next year. And that charitable work Andrew Furey mentions at the top of this article? Allan also makes time to help support Foster a Future and Stella’s Circle, two St. John’s-based non-profit initiatives that help address the province’s “critical shortage of foster homes” and “look after young adults and adults who have lost their way,” respectively. Given his keen awareness of the struggles other people face, and appreciation for his own good fortune, it’s not surprising that he doesn’t think it right to ask for anything more. “I literally wrote a list for myself when I was about 25 of the 10 things I wanted to accomplish in my career,” he says, without revealing what any of those things are. “I’ve been so lucky; of the 10 things on my list, I’ve accomplished nine, and the last one is completely unimportant to me now. 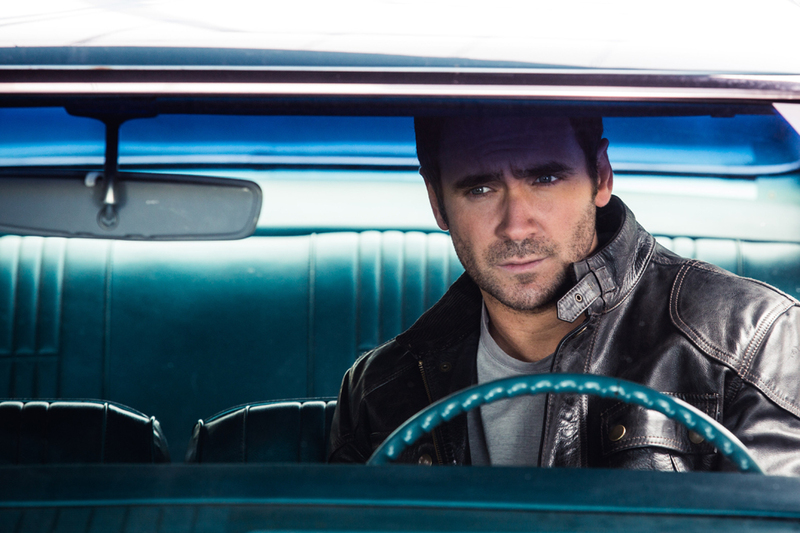 For the latest on Allan, follow @allanhawco on Twitter. Thank you to Allan’s Executive Assistant, Leslie Pope, for making this interview possible. Every time I read one of your postings I have a deeper sense of our country from sea to sea and great pride in the amazing people who live here and accomplish so much. Thank you once again, Amanda, for enriching my understanding of Canada and Canadians, and congratulations! So glad you enjoy them! Thanks for continuing to follow the site. What an inspiring piece! Thank you! I loved your bio of Allan. I was a teacher in NL , left to live somewhere else and only then realized what a rich culture was there on the Rock! My daughter, Salina Ann Head, is working for the Health dept with the families involved with social services… She is also studying for her social worker degree. Glad to see you are both in same career. I will be there for the holidays soon. My pleasure, Michelle. Thanks for reading! Every single time I read an article on Allan Hawco, I see he and I shared the same televisions shows that we both liked to watch as teenagers. I certainly am glad he is keeping busy. Enjoyed getting to know him. Love seeing you act… love your accent. You have accomplished a lot for such a young man and you do a lot for others. I am a retired 66-year-old woman from Brisbane, Australia. I love Republic of Doyle and my hubby and I are planning on going to St John’s, probably at the end of May 2016. This is all due to the scenery in Republic. I adore the show. I love the character in Doyle because he can get beaten up, most of the time, unlike the usual “stars” of a show. His love life is funny, too. I will miss the whole show. The characters on the show have flaws, which I adore as it is far more real. I had read you may do a movie to finish off Jake’s love life. I hope you do. Thanks for your show and the humour, scenery, etc., it has brought to our lives. We’re in the middle of Season 3. Love the family you’ve created on Republic of Doyle. I don’t want to think about the end. I’ll enjoy til then. You make me want to visit the rock and see what life is like there. Thanks to you and all Kickass Canadians! Allan Hawco is my pick for the next James Bond!